Last week, Oxford Dictionaries named its Word of the Year 2016 and it’s “Chinese helicopter”. No, that’s a lie because “Chinese helicopter” is two words. Actually, it’s not a lie. It’s “post-truth”. And “post-truth” is Oxford’s true Word of the Year. But isn’t “post-truth” also two words? But ironically, in a post-truth world which we live in now, “post-truth” feels like two words. You want the meaning of “post-truth”? You can’t handle the meaning of “post-truth”! Oxford defines it as an adjective “relating to or denoting circumstances in which objective facts are less influential in shaping public opinion than appeals to emotion and personal belief”. I told you that you couldn’t handle it. 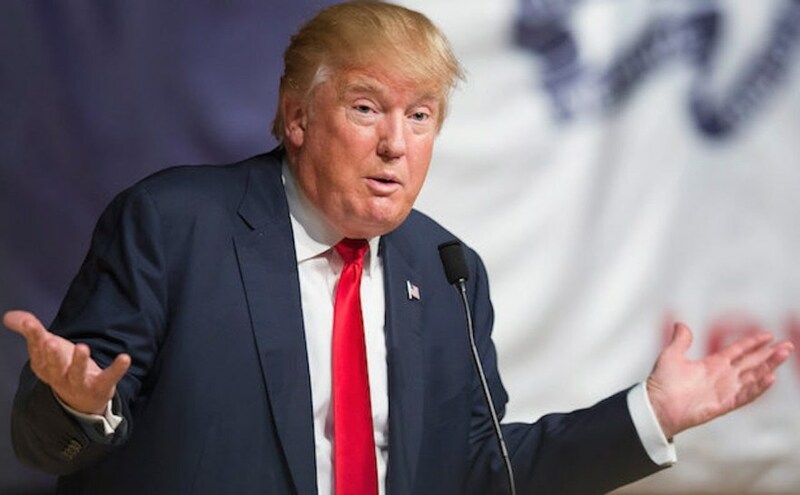 To cut all that verbiage, Oxford could’ve just used a picture of US President-elect Donald Trump. 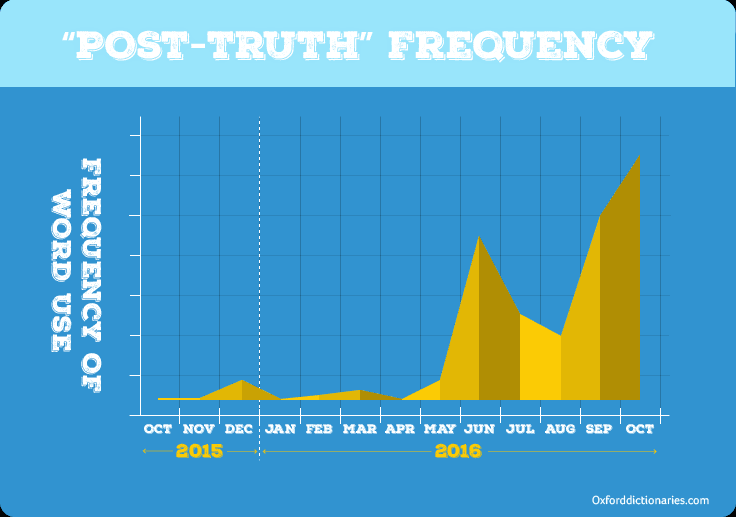 “Post-truth” was chosen because “Oxford Dictionaries has seen a spike in frequency this year in the context of the EU (European Union) referendum in the United Kingdom and the presidential election in the United States”. But can “post-truth” apply to Singapore too? I don’t know about you, but I take everything I read from The Straits Times as an objective fact. It’s right up there with other dubious public transport-related headlines like “Bus fares will be affordable if raised” and “Rise in major breakdowns but MRT gets more reliable”. And I wasn’t the only one who felt that way, judging by the reactions on social media like “You’re kidding??!! !” and “Hahahahaahaa”. [EWL]: Due to a track fault, pls add 10 mins travel time from #Tanah Merah to #Bugis towards #Joo Koon. Train service is still available. Yes, it seems that every time SMRT blows its own horn, the MRT just blows. In February last year, SMRT patted itself on the back for receiving the award for Delivering Value Through Risk Management in London. Almost immediately after that, the train delays started with four incidents over five days, including a fire that shut down the entire Bukit Panjang LRT system. 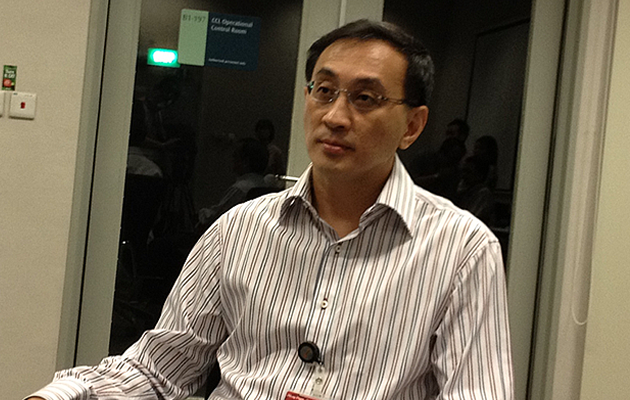 Five months later at the SMRT annual general meeting, CEO Desmond Kuek bragged about winning that risk management award and another one for Best Public Sector Campaign given by the Singapore Institute of Public Relations. Hours later, both the North-South Line and East-West Line were shut down during evening rush hour. The breakdown was so epic, songs were written about it. So was SMRT tempting fate again last week? Is history repeating itself like another NKF CEO scandal? Somehow, the headline writer conflated the facts and the result was “North-South, East-West MRT lines show best performance in 29-year history”. 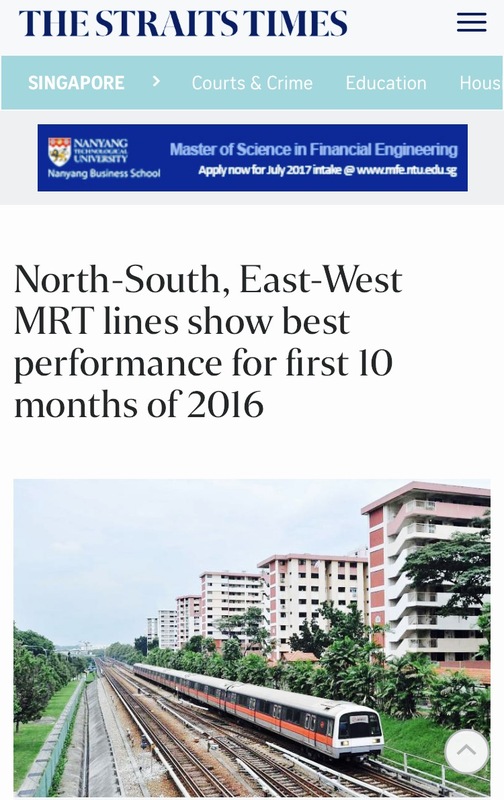 Unfortunately, the error is preserved in the web page’s URL itself: www.straitstimes.com/singapore/transport/north-south-east-west-mrt-lines-show-best-performance-in-29-year-history. As they say, the Internet is forever. Unlike today’s newspaper, which will be tomorrow's recyclable. This illustrates how the projection of a report can change drastically from online to print. The online version is pretty much just the rough draft. 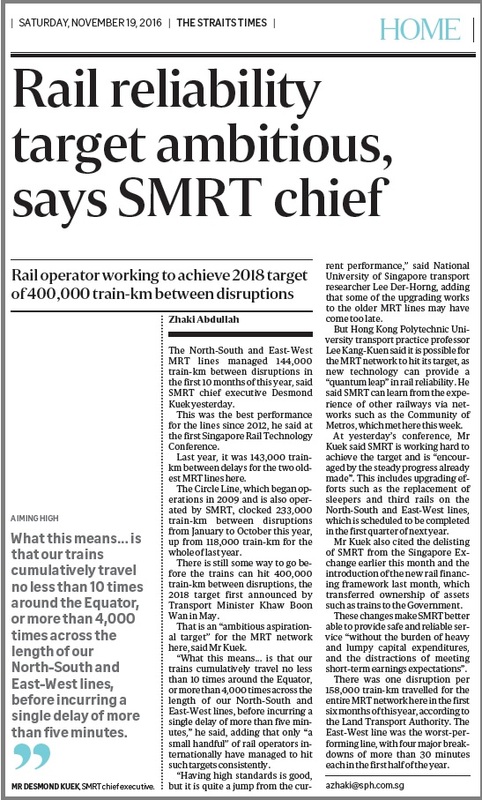 But erroneous online headline aside, SMRT should just stop trying to shape public opinion with stats about improved performance because no one is buying it. And that’s the post-truth and nothing but the post-truth.